Wendel Trio is Director of the Climate Action Network (CAN) Europe. Governments are trying to pull the wool over our eyes by claiming climate leadership and talking up their commitment to the Paris Agreement. 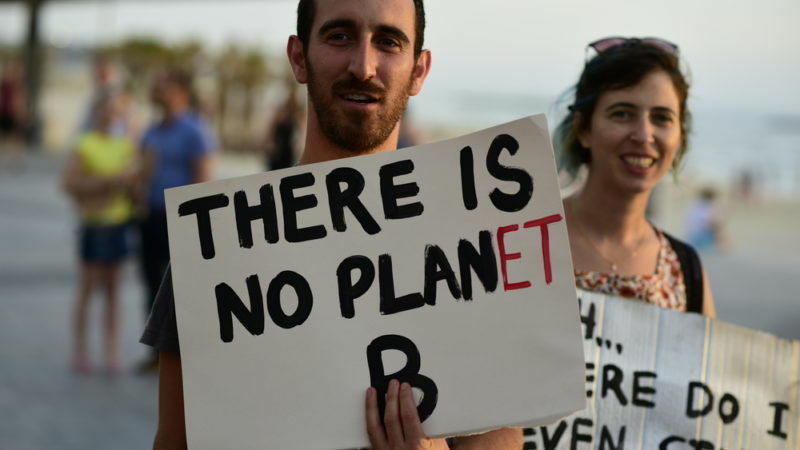 However, ongoing negotiations on new climate targets for Member States reveal the reality of their dangerous stance on tackling the climate crisis. President Trump’s decision to withdraw the US from the Paris Agreement in June created a groundswell of support for climate action among EU politicians. Directly after his announcement, during the European Council, all EU heads of state and government confirmed their commitment to swiftly and fully implementing the Paris Agreement. “I think that the Paris Agreement is so important that there should not be compromises,” German Chancellor Angela Merkel said. And French President Emmanuel Macron called on the world to “Make Our Planet Great Again”. Now comes the first test of these commitments: the negotiations on one of the EU’s cornerstone measures for implementing the Paris Agreement, the Effort Sharing Regulation, which sets targets for member states to reduce emissions from transport, waste, agriculture, buildings and small industry. On 13 October, EU Environment Ministers will meet to decide on the revision of this policy for 2021-2030. The text which lays out the conditions for their position, discussed and to a large extent endorsed on Wednesday (27 September) by countries’ ambassadors in Brussels, reveals national priorities in the negotiations so far. Rather than discussing how to correct for the flaws of the original proposal from the Commission, governments are favouring loopholes which would allow them to use accounting tricks and avoid real action. So far none of the governments has advocated for raising the level of ambition of emission reductions, despite the fact that the current ESR target of -30% by 2030 is too low to match the Paris Agreement’s long-term objective to keep global average temperature rise well below 2 degrees Celsius. None of the governments has proposed provisions stringent enough to align the starting point for emission reductions with real emission levels in 2021. This is despite the fact that an inflated starting point would allow countries to use surplus allowances to make it look like they are on track to achieve their target, instead of really reducing emissions. This problem was recognised by the European Parliament which corrected the starting point in its position on the file. As if that was not enough, most governments have not argued against loopholes which would allow them to reduce their efforts instead of taking real action. Instead, countries have introduced a new loophole that would allow some of them to carry over unused pollution permits from the past. These loopholes, together with an inflated starting point, would lower an already weak -30% target to a mere -23%. Sweden for example would only have to undertake 29% real emission cuts, instead of its 40% target as proposed by the Commission. For France, the engineer of the Paris Agreement, the target would stand at -28% instead of -37%. Ireland would receive the most staggering concessions. The country has a target of -30% but under the current rules it would have to cut as little as 1% of its emissions in the transport, agriculture and buildings sectors. EU member states may talk a good game on climate action, but behind closed doors government representatives are doing as much as they can to ensure their country avoids taking real action. A serious response to the threat of climate change could help EU leaders address feelings of alienation and mistrust between citizens and the EU. Europeans want stronger action from the EU on tackling the climate crisis. They understand that effective climate action is key to improving and safeguarding the lives of millions of people. Right now, they seem to be getting the opposite. This two-faced stance on the climate crisis is not going to restore public confidence in politics or limit Euroscepticism. Nor will it stem the rise of populists who benefit from public distrust in mainstream politics’ ability to address their most pressing problems. There are more than two weeks before the Environment Council, so Ministers still have the opportunity to step up and improve the proposals on the table. They must commit to a deal that at the very least, aligns the starting point with real emissions levels. This two-faced game on climate action must end because it has no winners. We still have a chance: Nuclear. Adding more nuclear can reduce the CO2 emissions from the power sector. Also incentivising carbon capture and storage (CCS) can remove CO2 emissions from our central heating and cooking (using clean burning hydrogen produced from steam methane reformation with CCS- instead of natural gas), and from our transport (as above, hydrogen fuel, produced from SMR); plus CCS reduces CO2 emissions by 90% from steel, chemicals, cement, glass and other industries, AS WELL AS 90% emissions reduction from a reliable and flexible Gas +CCS power plant).